Between the incredible range of portraits currently on view in The Queen Art & Image (Britain's National Portrait Gallery) and the photographs included in Queen Elizabeth II by Cecil Beaton (the V & A), I now have a much better sense of how documented Her Majesty's entire life has been. Not surprisingly, when Vogue's editors put together the first edition of The World in Vogue, published in 1963, they highlighted several images of Elizabeth II while other 20th-century icons were represented only once. If you flip through a vintage copy today, you'll find four pages devoted to her Coronation but what jumped out at me is the editors' other pick: this Central Press photo of a young Princess Elizabeth with her mother and her sister, Princess Margaret (far left), on the steps at Glamis Castle, the Queen Mother's ancestral home (and also Margaret's birthplace). Contrasted with the trio's polished, feminine coats, the exterior of the storm-braving Scottish castle -- the setting for Shakespeare's Macbeth -- looks so rugged. 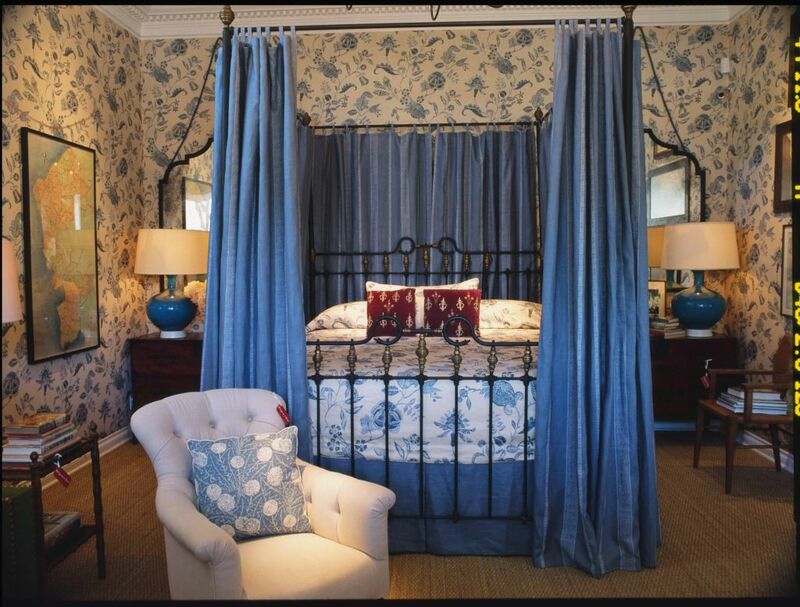 Over the centuries, Glamis has undergone extensive architectural changes to suit the tastes of various generations. Of course, the work of Los Angeles-based 20th-century architect Paul R. Williams was often informed by the grand old houses of Great Britain and France. (BTW, I think the Duke and Duchess of Cambridge spent time in a Williams-designed Georgian when they were supporting TUSK last year.) In the past, I've mentioned Williams' granddaughter Karen Hudson's earlier book about his astonishing career. 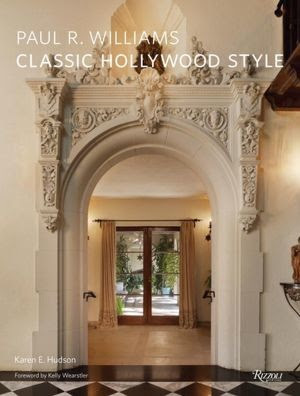 Now, as you probably know, she has written another, the recently published Paul R. Williams: Classic Hollywood Style and she'll be speaking to designers at 11 a.m. on June 6 at the Pacific Design Center. Details here. The deadline for student applications is August 31; educators must file applications by September 24. Details on the scholarships, along with the symposium's highlights are available here. In the meantime, while we're on stylized Ottoman flowers, let's revisit Tory Burch's pattern-filled dining room as seen in Vogue. 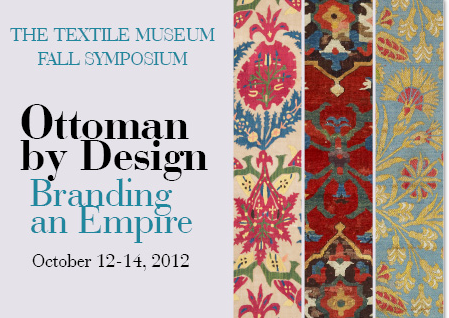 The Iznik-inspired panels are by Iksel. Even though I'm not personally in need of any Jubilee souvenirs, I've enjoyed checking out the offerings at several museum gift shops. 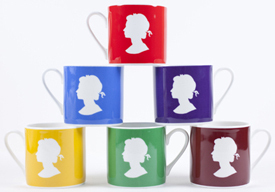 To celebrate The Queen Art & Image, the National Portrait Gallery has a silhouette design tea tin and a set of bone china espresso mugs reminiscent of the Gillick/Gentleman postage stamp cameo from the 1960s. 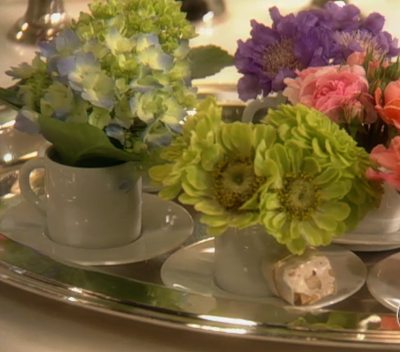 Inspired by one of the original Martha Stewart episodes, I like the idea of tucking flowers into the cups and giving them as individual gifts, rather than as a complete set. If I received the yellow, I'd use it on my desk, not just for fresh summer daisies, but also to hold odds and ends. 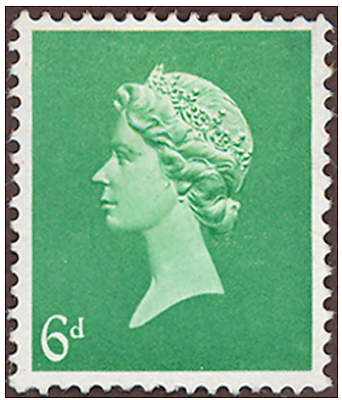 The light, regal silhouette on a colorful ground actually calls to mind the various incarnations of artist Arnold Machin's most famous Definitive Stamp. In 2007, the 40th anniversary of his iconic sculpted portrait was commemorated with an exhibition, Timeless & Classic, at the Royal College of Art (RCA) and an online display is still available here. 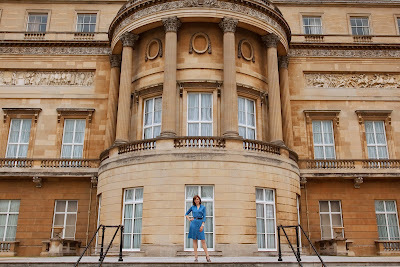 Back to T.V., next week I'll also be watching the Diamond Jubilee Concert staged in front of Buckingham Palace. (How will they top Brian May on the roof?) 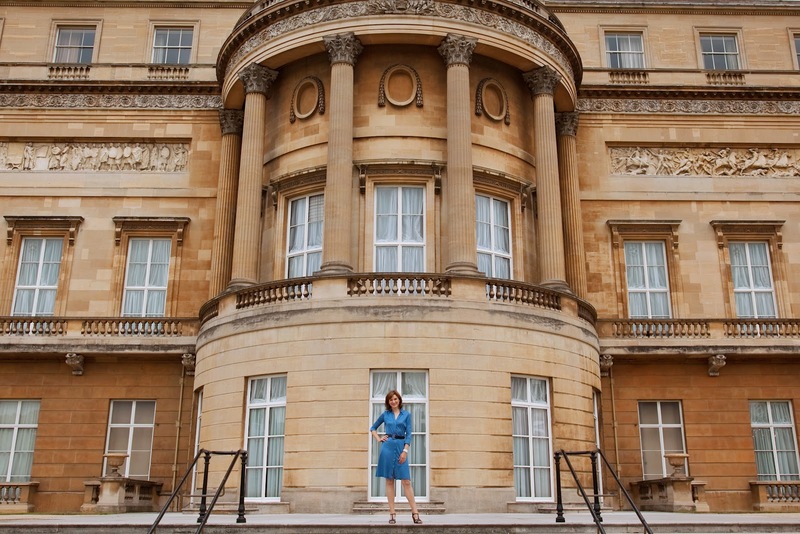 For more on the architecture and evolution of this palace along with two of the Queen's other residences, Windsor Castle and The Palace of Holyroodhouse, check your local PBS schedule for The Queen's Palaces, or alternatively, look for the DVD in the States starting May 29. 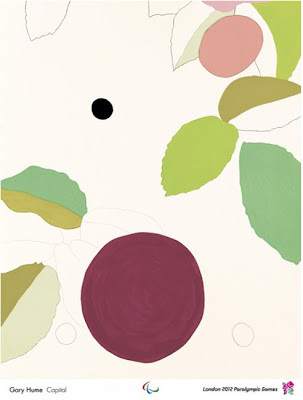 [Ellsworth Kelly, Sunflower, 1957. Watercolor on paper. For the third year in a row, I'm happy to post a bit of info about the Blue Star Museums initiative. Across the U.S., more than 1,500 museums -- stretching from MoMA on the East Coast to LACMA on the West Coast -- are joining forces with the Department of Defense and the National Endowment for the Arts, offering free admission to all active duty military personnel and their families from Memorial Day, May 28, through Labor Day, September 3, 2012. 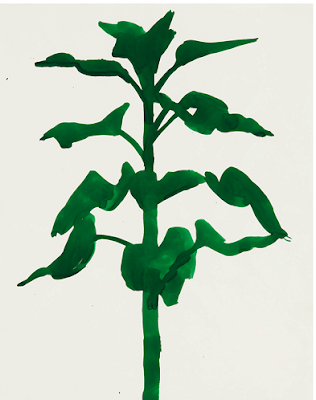 Shown above is one of roughly 80 works on paper included in the upcoming show, Ellsworth Kelly: Plant Drawings, at the Met, another Blue Star museum. As mentioned a while back, this exhibition is a monumental retrospective of Kelly's less-well-known drawings of leaves, flowers, and plants, and opens June 5. For a complete list of all participating museums, see the Blue Star map. 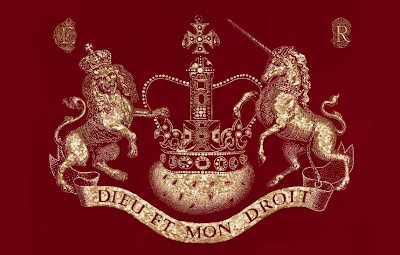 On Sunday, June 3, when all the cameras are focused on the Royal Barge as it travels along the Thames, I hope we see some nice close views of artist Ann Carrington's brilliant red, embroidered banner at the craft's stern. 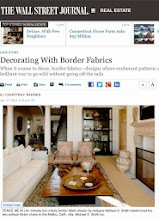 According to Colefax and Fowler's site, the iconic British fabric house donated to the project well over a hundred yards of Cardinal Red velvet, and Carrington incorporated into her design over half a million buttons. The design is her own take on the Royal Coat of Arms with St. Edward's Crown, aka the Coronation Crown, placed between the lion and the unicorn (Carrington received permission from the College of Arms to do this special Jubilee year interpretation). She has also referenced each Coronation from 1066 to 1952, around the banner's border. Her inspiration to use buttons came from London's Pearly Kings and Queens. 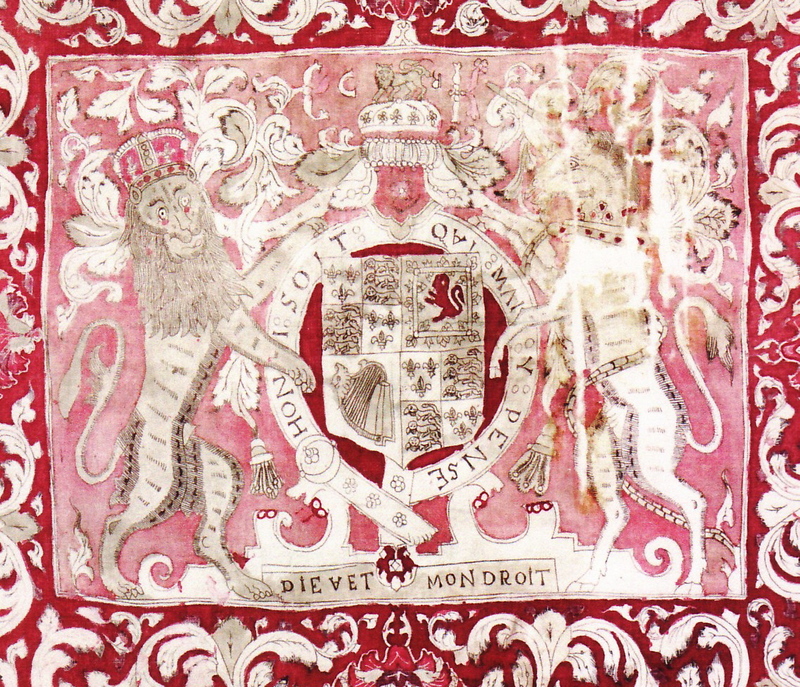 The other day, flipping through Rosemary Crill's book, Chintz, I spotted another great version of the crest (the Royal Stuart Arms) worked into a 17th-century Indian export cotton. 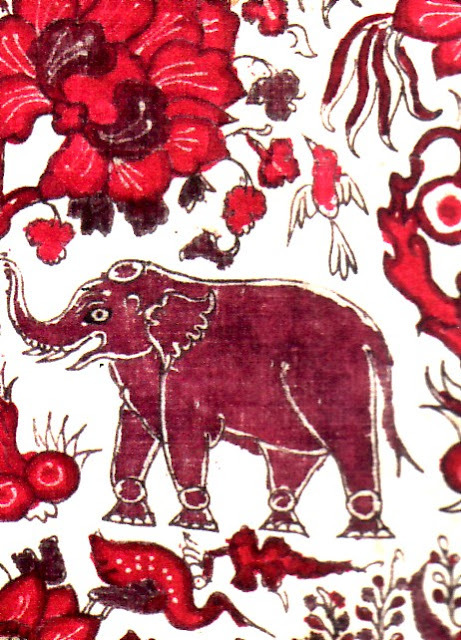 The Chinese- and Indian-related imagery in the cloth's surrounding field includes elephants, birds, and flowers. BTW: Prints available from Carrington include The Royal Jubilee Banner and Pearly Queen of Jubilee Gardens. 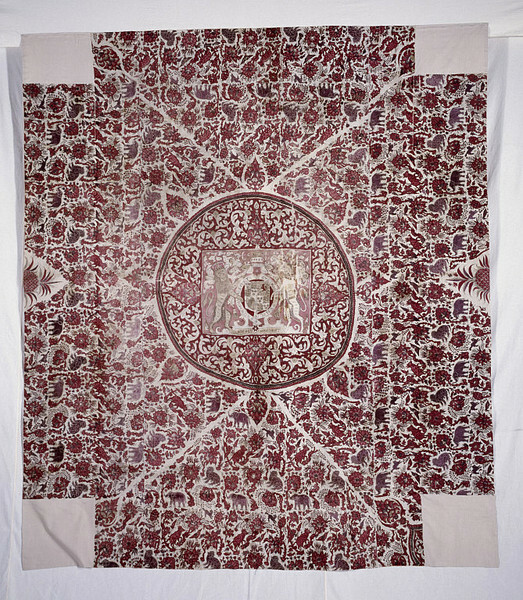 Just as I'm attracted to the ethereal quality of James Young's upholstery X-rays for Britain's National Trust, I love looking at this chintz mid-way through production. 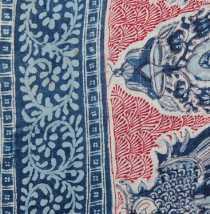 And that's 'chintz' in the older sense, meaning Pre-Victorian, hand-drawn, mordant- and resist-dyed cotton exported from India. 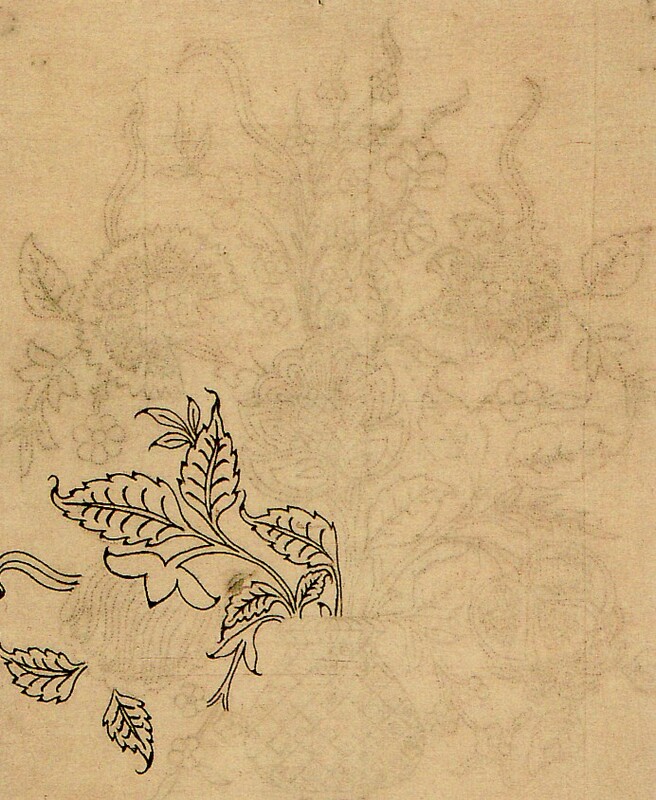 The first image, above, shows the sort of skeletal, iron and alum mordant outline of the chosen design sketched onto the fabric with a kalam (blunt-tipped bamboo pen). 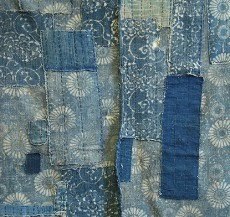 In her book, Chintz, Rosemary Crill explains that mordant was key because it reacted with vegetable dyes to yield desired colors. We can see the wax phase, in the second picture. 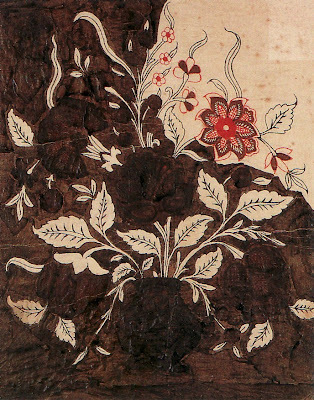 Red flowers have been achieved and beeswax (here the large dark patch) is then applied all over the cotton, except to the leaves and stems meant to be blue; the wax will serve as a resist when the cloth is submerged in a vat of indigo. 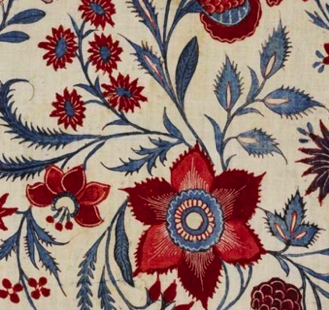 Indian export chintz was initially fashionable in the Netherlands but it soon became immensely popular in Britain. 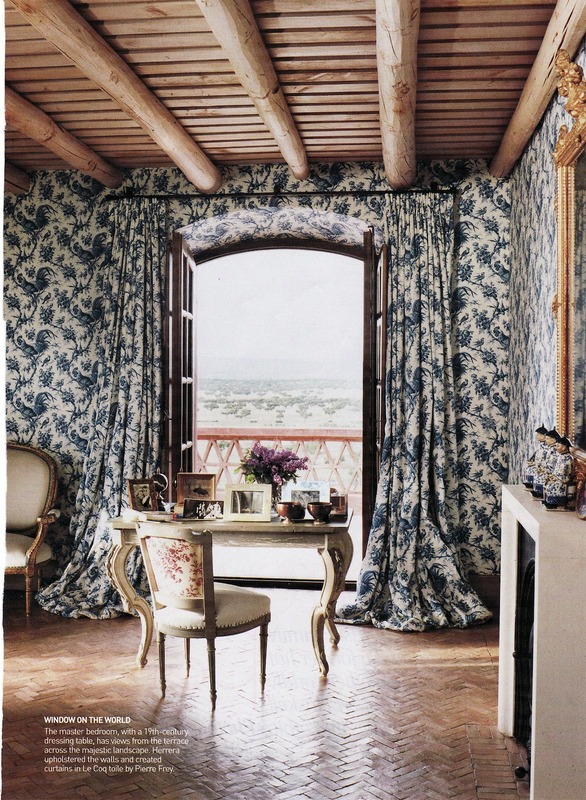 Throughout the 17th and 18th centuries, the stylized florals evolved, blending English, Indian, and Chinese elements. 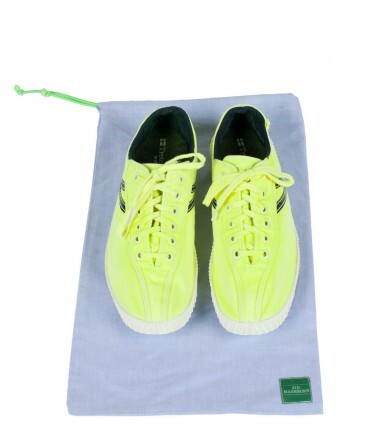 Ultimately the fabric morphed into something iconically British. 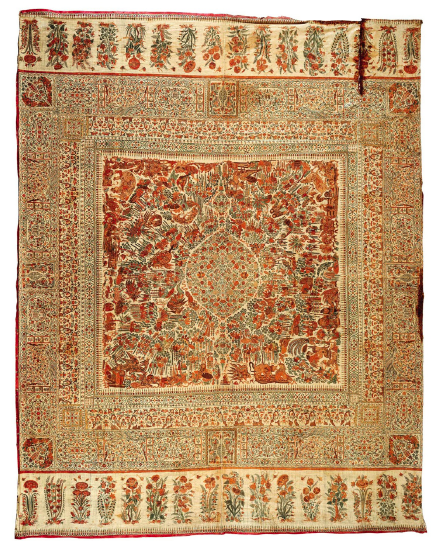 Speaking of East-West connections, a reminder: Maharaja: The Splendour of India's Royal Courts, the V & A-organized blockbuster, opens tomorrow, Monday, May 21 at he Virginia Museum of Fine Arts in Richmond. On the design library front, one of the biggest mistakes I ever made was not snapping up a copy of Féerie Indienne in 2008, before the exhibition catalogue became so scarce. The other day, I tracked down an edition priced just under $1,000 and did a double-take; surely the bookseller must mean rupees or some other currency, not U.S. dollars. Crill adds that the central panel is "riotous" with Japanese-inspired vegetation and composite characters. This surprising detail, above, seems a little bit Hieronymus Bosch, to me. 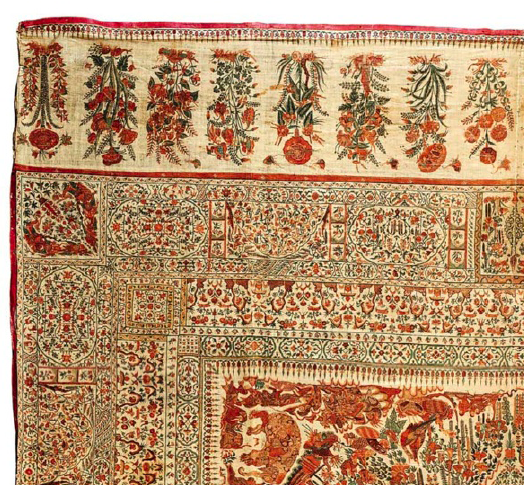 The exhibition also included many Indian export chintzes, made for European interiors and clothes, like this mid-18th-century painted and dyed floral apron. 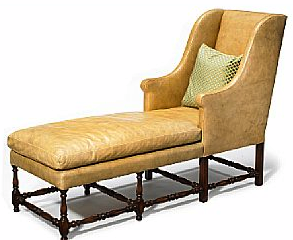 Maybe I was swayed by some comments my grandmother once made, but I used to think lounging around on the furniture for hours at a time was mainly a 20th-century habit. 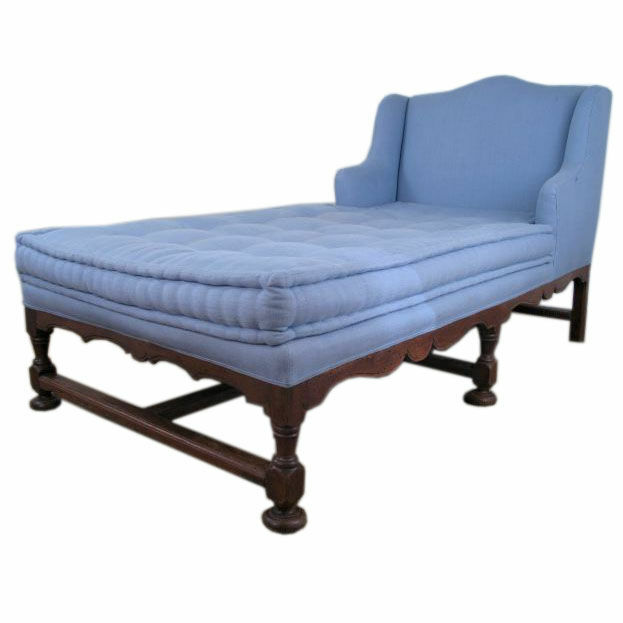 It's easy to forget that roughly 400 years ago the French were innovating chic pieces designed for reclining. A few years back, I enjoyed a talk given by the lively French professor and author Joan DeJean. 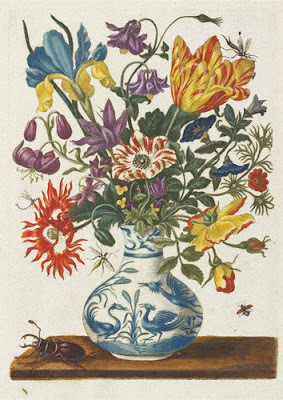 One of her major areas of interest is Europe's longest reigning king (to date), Louis XIV (1638-1715), and she explained how he positioned France as the international arbiter of all things luxe and high style (the recent Chanel Resort show at Versailles is an example of how his power still reverberates). In the book I've been reading this week, a review copy of Fashion beyond Versailles: Consumption and Design in Seventeenth-Century France, Auburn University history professor Donna J. Bohanan explores the same period but she is specifically interested in the shopping habits and tastes of elite French women and men living far from Paris, particularly in the southern province of Dauphiné. 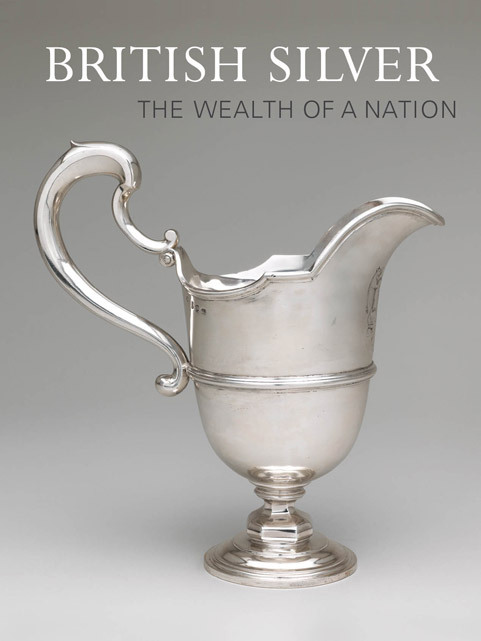 And although Bohanan states up front that her book is intended to be a social history ("a book about what things can tell us about the lives and lifestyles of their owners"), not a history of the decorative arts, she nonetheless describes many objects in detail. 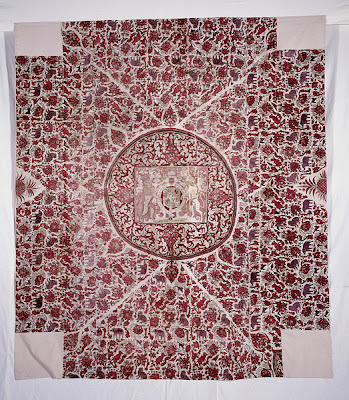 Artist Teresa Rodriguez's interpretations of period furnishings are a nice bonus, too. 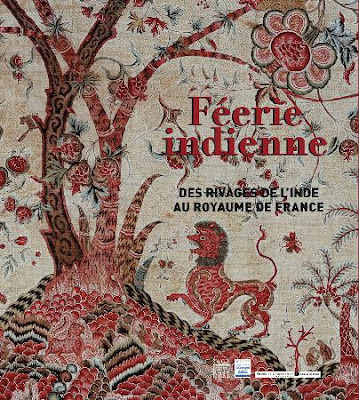 Extensive postmortem household inventories, required by law in France during the 17th and 18th centuries, give us a sense of just how busy French upholsterers were (the volume of slipcovers is a little staggering), how many sets of chairs French provencials bought, and what the must-have pieces were (Turkish rugs, paintings, lacquered Asian-inspired cabinets, clocks, impressive beds bedecked with harmonizing textiles, softly-cushioned modern chaise lounges, and pairs, pairs and more pairs). 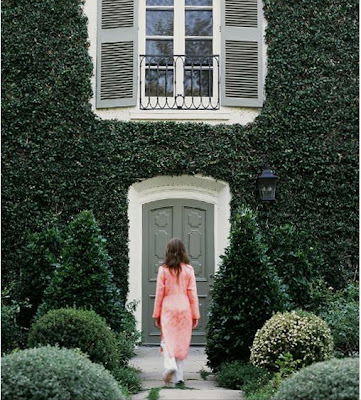 We also learn who could afford to embrace ever-changing color trends -- from rich reds and greens to blues to lighter, brighter shades such as citron, yellow, and pink with green. "What was fashionable and state of the art in Paris captured the hearts and minds, and soon the purses, of provincial nobles, connoting a closer relationship between center and periphery than historians of grain prices and market integration have maintained -- this because consumption of decorative items has little to do with traditional market forces of supply and demand." 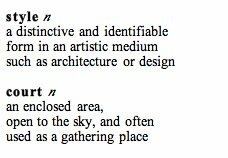 Interior decoration is referenced in some way throughout the entire book; after all, architecture and decoration were (and clearly still are) such powerful ways of expressing one's identity. 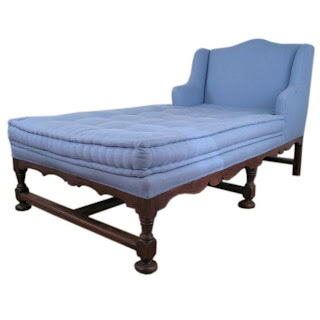 In subcategories, though, Bohanan delves into: comfort, convenience, and innovation in furniture and lighting; color, regularite, and the French preoccupation with matched sets; luxury; taste and politics; and dining and sociability. 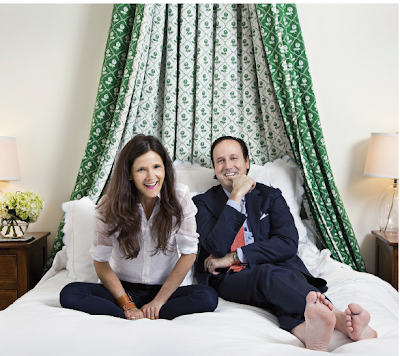 [Ann Mashburn, a self-described Francophile, with husband Sid. 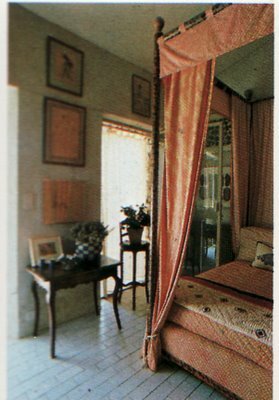 The bed hanging is a much more minimal descendant of the elaborate hangings which evolved throughout the 17th and 18th centuries. The images I've included here may seem incongruous. 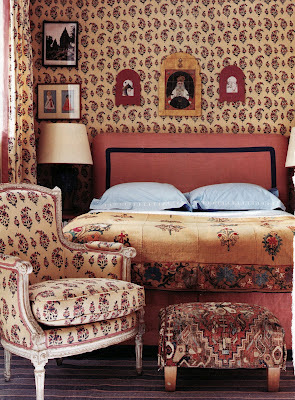 Why not stick with 17th-century antiques (with period-appropriate upholstery), period-inspired rooms, quintessentially French interiors, or at least more than one house that actually is in France? 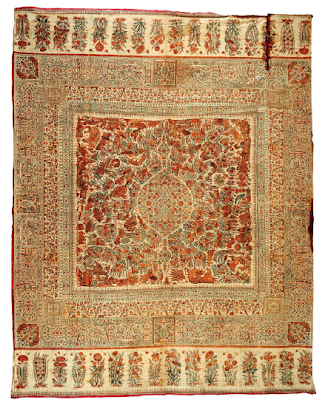 With the exception of les indiennes -- the Indian cottons which were very much in vogue centuries ago -- my contemporary choices don't reflect the more opulent textiles and objects Bohanan describes. Inspired by her book, I thought it would be interesting to show how elements and trends favored by the privileged provincials (pairs, lavish use of one fabric) endure today in less likely places far beyond the borders of France and are sometimes even embraced by mix-happy Anglophiles, myself included. With eyes toward London, several contemporary artists have me enthused about this year's official Olympic and Paralympic posters. I've been gravitating to Sarah Morris's abstraction of Big Ben, Michael Craig Martin's stopwatch, and Bob and Roberta Smith's bold words, but British painter and printmaker Gary Hume's Capital, an inspired interpretation of a wheelchair-tennis player lobbing a ball surrounded by summer foliage is a piece I may just have to own. 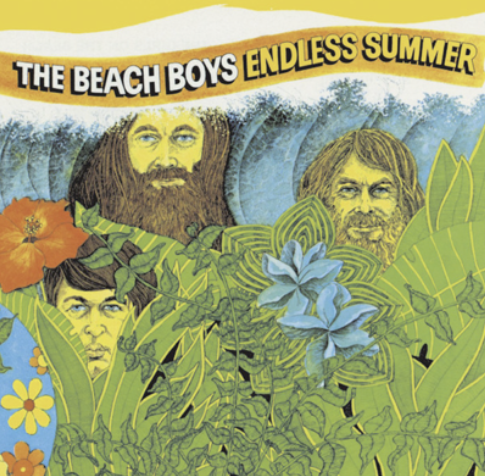 I'm already envisioning those green leaves and graphic, plum and pink circular forms above my desk. At the same time, I can picture Hume's poster hanging in the apartment entryway of a friend who plays the game -- maybe near a vintage umbrella stand or basket holding a few rackets. According to Tate, Olympic host cities have been commissioning posters to commemorate the Games since 1912. In 2008, the V & A curated A Century of Olympic Posters, based on its own collection, and examples including works by Jacob Lawrence and David Hockney are viewable here. 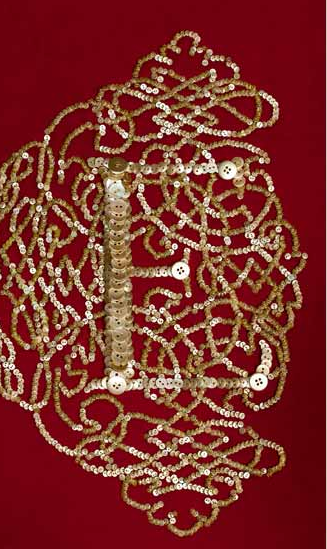 Here's a sampling of what's coming up later this week: We'll explore Donna J. Bohanan's fascinating new book, Fashion beyond Versailles: Consumption and Design in Seventeenth-Century France. 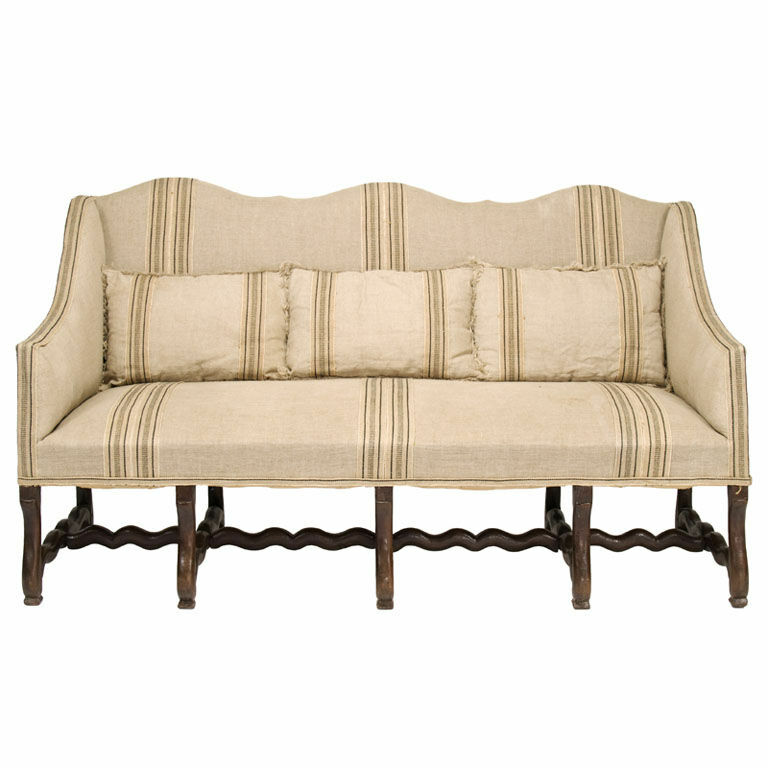 Four centuries ago, French provincial elites may not have had Pinterest but when compiling inspiration files for decorating they certainly used widely circulated engravings of furniture, architectural details, and ornament. Bohanan looks at what the fashion-forward set living outside Paris and Versailles shopped for and what their things can tell us about who they were. 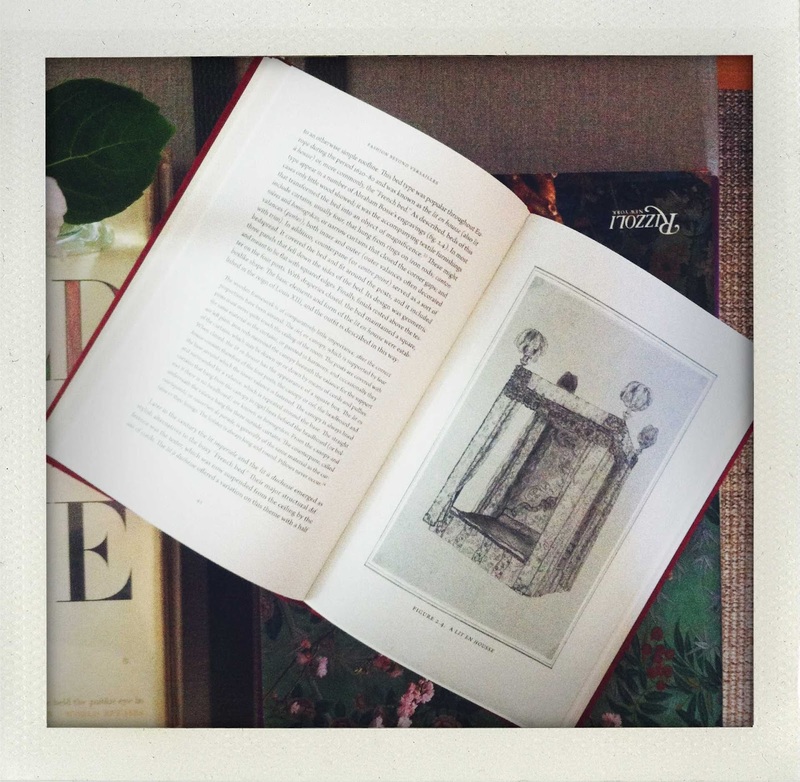 I think readers with a penchant for French antiques and material culture will especially be intrigued (the book is even perfectly scaled to fit inside a beach bag), so I'm looking forward to discussing it. 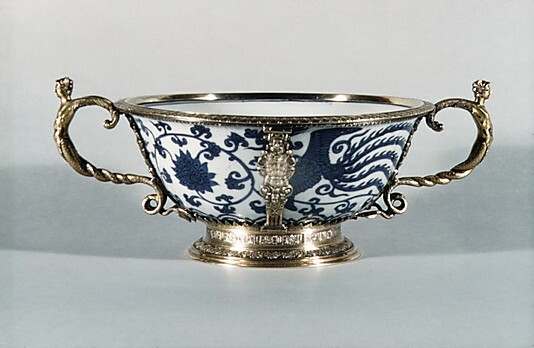 [Two-handled bowl, circa 1585, English and Chinese, hard-paste porcelain and silver gilt. 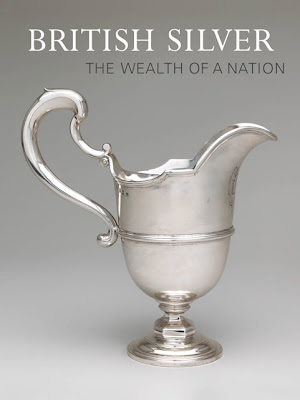 Turning to Britain, a new exhibition of decorative arts, British Silver: The Wealth of a Nation, opens at The Met on Tuesday, May 15. 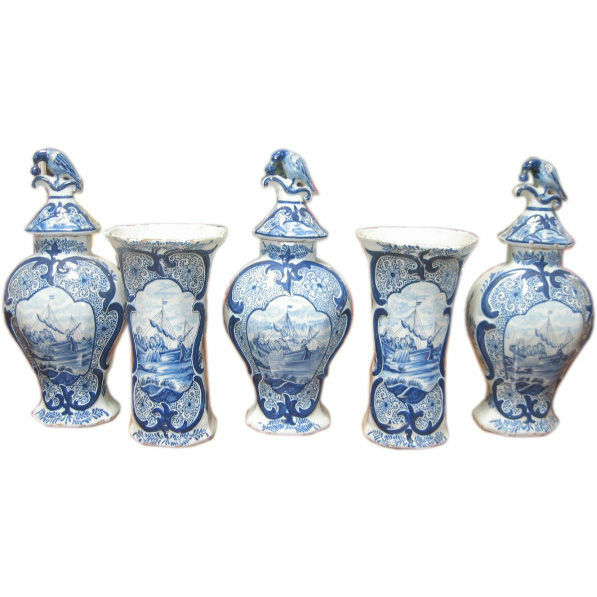 This show focuses on artisans and stunning London-made silver produced from the mid-sixteenth trough the mid-eighteenth century. And it delves into English silversmiths' workshops where specialty-skilled-yet-anonymous Continental craftsmen from the Low Countries, Germany, and France were also sought after. Today's brief post involves two beach-gravitating blondes with discerning tastes: Doris Duke and Betsy Burnham. Honolulu, Hawaii was the home-base Duke ultimately chose for herself, but she enjoyed life-long wanderlust and never stayed put for long. A new exhibition, Passport to the World: Doris Duke the International Traveler, on view now at Rough Point, the Duke family's Newport, Rhode Island house, explores the countries she traveled to with special emphasis on what she brought back -- the art, decorative objects, handmade crafts, and clothes she purchased trekking across the globe. 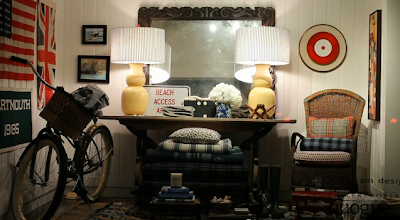 Whether found near or far, Betsy Burnham appreciates diverse styles, too. When asked to participate in this week's much buzzed about Legends of La Cienega 2012: Windows to the World event (taking place May 9-11), she turned her focus to the U.S. Although interior designer Burnham is based in L.A., she travels back with her family each year to the East Coast, specifically to Quogue, N. Y. 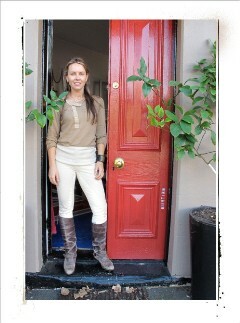 (the un-fussy Hampton, as she calls it). 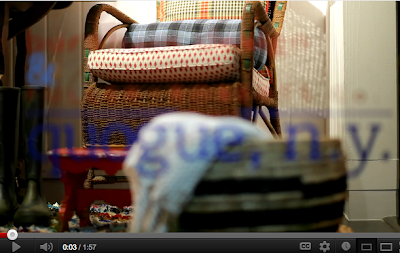 In this terrific time-lapse video, she explains how some fabulous 1920s wicker chairs jump-started her Old School, Americana-infused installation at Fuller + Roberts. 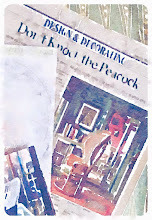 Look out for details including graphic color on the floor and in an abstract painting on one side wall. 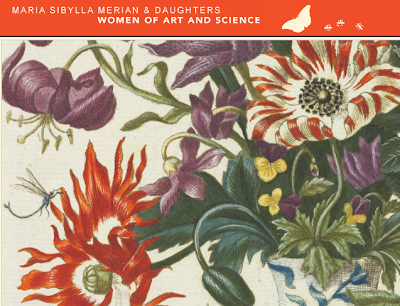 I thought I'd come up with a nice Mother's Day present for the nature-loving mom: the exhibition catalogue from the Getty's show, Maria Sibylla Merian & Daughters. 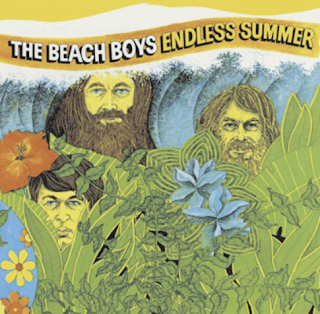 Turns out, though, that the book is becoming a bit harder to track down. 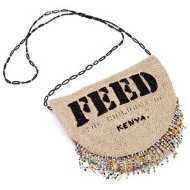 (I am finding used copies online.) 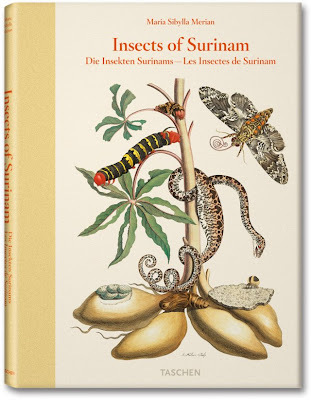 Merian was one of my 2008 Adventurous Spirits. A German-born artist from a family of creative publishers, she led a remarkable life as an independent single mother living and working with her daughters in 17th century Europe, and later, Suriname. Her books of flower paintings were frequently used as field guides of sorts by embroiderers and cabinetmakers, but Merian is also credited with advancing science, specifically the study of insects, through her meticulous illustrations. 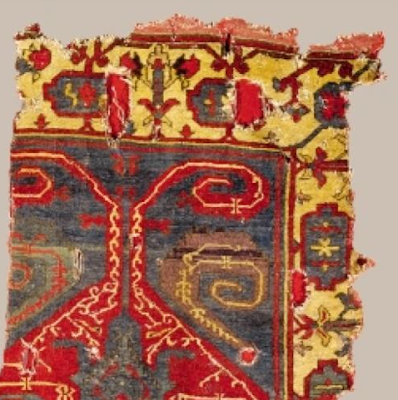 As the exhibition title conveys, her daughters were artists, too, and they all collaborated professionally. 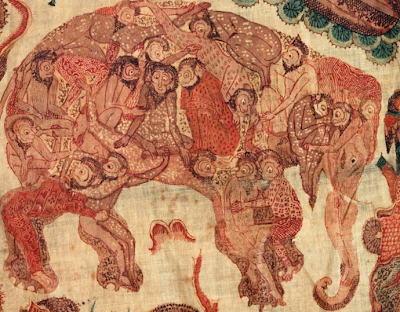 Check out the Getty's audio-enhanced slideshow, still online, here. In 2009, Taschen released a lush volume of Merian's Entomology work; this book is easier to find. 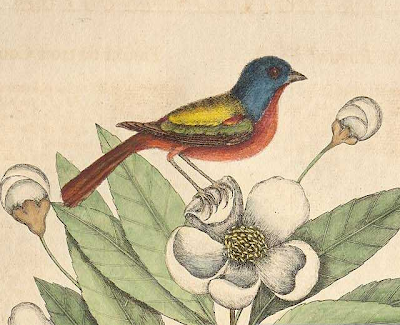 Back in January I mentioned that 2012 is artist/naturalist/adventurous spirit Mark Catesby's tercentennial in America. 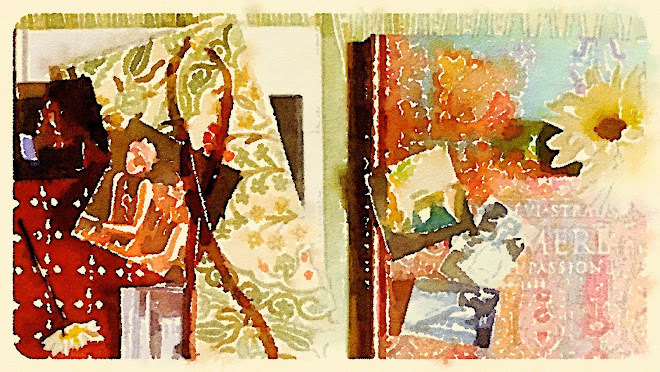 Since that posting, a detailed celebration itinerary has been added to the revamped Catesby Commemorative Trust site, and this morning Enfilade offered specifics on the upcoming fall conference. 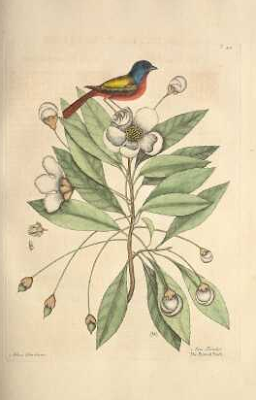 In the earlier post, I included a link to UVA's digitized version of Catesby's The Natural History of Carolina, Florida and the Bahama Islands but I wanted to follow up with another resource stumbled upon by following some new links at the Trust's improved site: Botanica Caroliniana, a Furman project, offers a chance to peek inside Catesby's tome and see the spectacular color plates magnified. 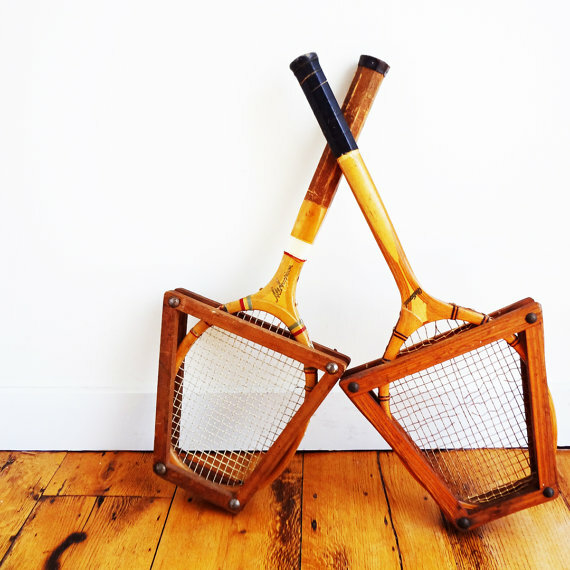 Inspiration abounds for 21st century designers and artists.